So, you are reading this article, it means that you are stumped on the question of how to start a website. But do not forget that it must be taken really seriously. The modern world can’t live without the Internet, and, therefore, without sites in it. What is the first thing the visitor pays attention to? Of course, the design, excellent layout, the availability of information. But sometimes that’s not enough. It should be simple and clear, because that is how users perceive all kinds of information. All the necessary information should be easy to read and remember. It should attract, not repel, with its volume and complexity. People usually try to think as little as possible. For example, they are exhausted after working hours, so maybe they just want to relax. Therefore, your task is not to complicate the perception of your site. Both information and design should be simple and easy. Remember that the more free space, the easier the perception. It’s not enough that your site is unique and beautiful, but it should also cause pleasant feelings, a sense of balance and stability. Any competent designer will tell you that you should not overload graphics with colors. Use only 2-3 well-matched colors. Yes, images always attract attention in the first place, but they do not need to overload the site at all. When you create and design a website, content is very important. Any person first of all skims through information. They do not read it very carefully or ponder it. Therefore, it is necessary to focus on the most important things. There is such an excellent “principle of the pyramid”. What is it?The main information is located on top, i.e., in the beginning, and then is supplemented. Thus, we come to the conclusion that you need to get the attention of the user, to attract him and not to let go. You must evoke some interest and desire that will prompt them to act. Any feedback should be given very quickly. Never make users wait a long time. Never use empty words, try to use facts and demonstrate the benefits of your product on real examples. Of course, your site is your personal matter, it should reflect your personality. Only then it will enjoy others. But you should always follow certain rules. Take the site seriously, listen to the advice of professionals and you will always succeed! First of all choose the theme of your future site. Do something that you are well versed in, that will be useful and interesting to others, even if it will be some very narrow and not very popular topic. The main thing never do a site about something that you don’t understand. It can be harmful to your site, and people will no longer trust you. After you have chosen the topic of the future site, think about the number of sites-competitors. Just type chosen topic in the search engine and after that when the search engine gives you the result for a given query, you look at the top of the search engine, how many pages are already created for these keywords, there should not be too many of them. Next, open the first 10 sites on your topic and analyze each of them, how these sites are made, how much information is in them, what kind of information, what site traffic and what new things you can give to people who will visit your site. Your task is to make your site unique, highlight it among your competitors, and make sure that it is among the first 10. Never copy or place information from other sites on your site without author’s consent , in order to get rid of the trouble in the future. The owner of the site from which you took the information without his consent, can write to a hosting provider, where your site is located, and it can lead to unpleasant consequences up to the removal of your site. Another important factor that can increase your popularity on the Internet is to update content on the site as often as possible. It will give the search engine a hint that your site lives and won’t let the site fall from the leading position. As you can see website creation demands some time, efforts and gumption. Feel free to prove yourself to the world and let’s create something special. Nowadays the Internet has a lot of methods for creating a website. Here you can read about the most basic ways of doing it. You make a site by yourself, without any help. That is, you become the owner of your site. You study HTML, CSS, PHP and other programming languages, or you are taught these languages. Next, you start to write the code by your own. With the help of various site designers and engines. You find site designers and all kinds of engines on the Internet, whether paid or free. And then proceed to create the site, following the step-by-step instructions that you will be given. Using HTML programs. You can prescribe the site code yourself or with the help of programs. In the program you write text, insert all kinds of images, video, audio materials, etc. And the program will prescribe the necessary code in the meantime. Here you use automatic and manual methods. WEB-designers. 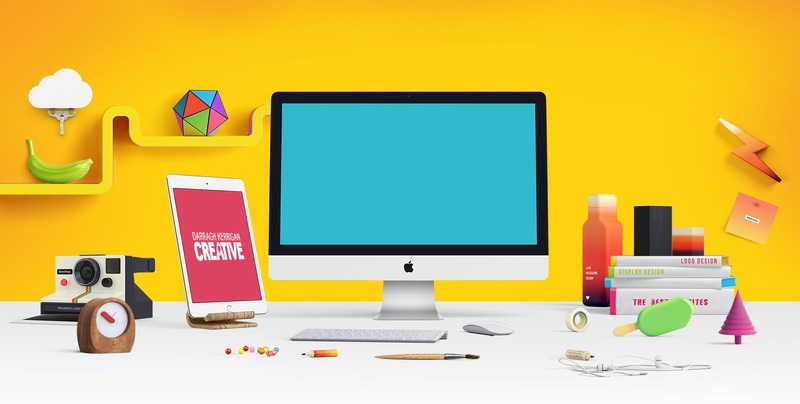 You are looking for a certain person or group of people on the Internet who call themselves web-designers and ask them to create certain parts of the site or the entire site. And after a while they give you a ready-made site. And you just enjoy it. Free website design is possible too. You can design the future site with using any graphic editor you like. Sometimes availability of time and desire to save money encourage you to create a site for free, to try your hand at this process. Use the free site management system (CMS). The site management system is, in fact, the brain of your site, it will allow you to manage the site and update the materials on it. You can use ready-made design for the site. Here it is necessary to distinguish: you will find a design in the form of a picture or an already-formed template on the Internet. If you do not want to pay for the layout of the chosen design-picture, choose a design which is already made up for your CMS. Practical information about the creation of the site can be found on different sites, blogs, forums. You don’t have to buy books or video lessons – there is enough free information on the Internet. Register a domain for your site and choose a hosting. Transfer the site to the hosting, specify the hosting address in the domain settings and you get the site for free!